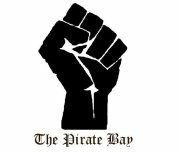 The scallywags at The Pirate Bay, which describes itself as the largest bittorrent network, changed the file-sharing site's top-level domain (TLD) Wednesday from ".ORG" to the Swedish-based ".SE." The move comes after the Swedish Supreme Court decided not to hear an appeal over fines and jail time imposed on the TPB's founders two years ago. Visitors to http://thepiratebay.org or http://thepiratebay.com are currently being redirected to http://thepiratebay.se, a change that may set off your browser's malware detection. It's not clear why the site decided to switch its TLD, and The Pirate Bay has yet to respond to PCWorld's request for comment. The blog Torrent Freak, however, is reporting that sources inside TPB said the site made the switch to avoid a domain seizure by U.S. authorities. The file-sharing site suspected the U.S. was waiting for the Swedish court's ruling before taking action against TPB. Even though The Pirate Bay is based in Sweden, the ".ORG" domain is operated by the Public Internet Registry based in the U.S. and thus the domain name is within the reach of American authorities. Earlier in January, the FBI shut down a network of ".COM" sites belonging to Hong Kong-based Megaupload, charging the company and several high-ranking employees in what the FBI calls one of the "largest criminal copyright cases" in U.S. history. In 2010, TPB founders Fredrik Neij, Peter Sunde, and Carl Lundström received 10 month, eight month, and four month prison sentences, respectively, after being found guilty in 2009 of violating Swedish copyright law. Those sentences will now be upheld along with a fine against the three men equaling about $6.82 million. Despite the setback for TPB's founders, the site has vowed to continue operating. "We've been through hell and back and it has made us tougher than ever," TPB said on its blog Wednesday. "What binds us all together is a strong belief that what we do is good." The Pirate Bay also claimed that even though its founders have been hit with prison time, the three men no longer live in Sweden and therefore won't be seeing the inside of a jail cell anytime soon. If the U.S. had been able to seize The Pirate Bay, it would not have been the first time the site was knocked offline due to circumstances beyond its control. In May 2010, a German court injunction forced TPB's bandwidth provider CB3ROB to take the site offline. The site became active again just hours later.